This generally goes without saying, but it’s worth mentioning because not all skincare products are created equal. Also, not everyone follows the right regimen. If you haven’t already, talk to an esthetician to make sure your regimen is right for you. As far as products are concerned, it’s important to make sure that you are exfoliating on a regular basis. Exfoliating gets rid of the dead skin on your face, which can end up “eating your makeup” so to speak, which is not what we are looking for in making your makeup last all day. The purpose of a good toner is to bring the pH of your skin back to the range of 3.5-5.5, which is the optimal pH for skin to absorb hydration from your moisturizer and stay hydrated so that your skin does not start seeking hydration from your makeup. Your skin can start sucking in your makeup without toner. Moisturizing your face first will help with hydration to minimize drying, which can also eat up makeup quickly. Applying sunscreen next is an absolute must so we can protect all our beautiful faces. Surprisingly, a lot more ladies and gents do not use primer than I thought. A good primer will do its job and refine the pores of your skin, making it easier for your makeup to sit on top of and adhere to, which will make it last longer. Think of primer as a protective coating that turns your face; if your face was the surface of an orange, primer would make it like the surface of an apple). Just remember that when applying any makeup, less is more if you start with good products. You don’t have to pack primer on; a small amount will be enough for the whole face. Also, don’t forget to prime your eyelids and lips. There are specific eye primer products out there that won’t crease, and lip primer pencils that will help your luscious kissers last all day! 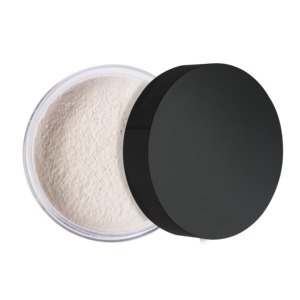 Blending allows your makeup to bond, which strengthens its ability to stay on your face longer. Not to mention, it removes unsightly lines. The best way to achieve the best blend is either with a brush or a beauty blender. If you use liquid foundation and want it to really last longer, you should finish your foundation with a light dusting of loose powder, as well as an extra soft dusting over areas where your face tends to be shiny. Setting for longer wear also works well for your lips in the order of primer, lipstick, blot, powder, lipstick, blot, powder. Just make sure you use a single-ply piece of tissue to place on your lips prior to dusting on the loose powder, and use a brush to dust on the loose powder to set it. See our previous post about lips for even more lip tips. This wonderful piece of makeup science is a must-have for any makeup savant. I’ve seen pros recommend hairspray, but I don’t know why you would want that sticky mess all over your face. Reach instead for a makeup setting spray, which does not have the sticky leftover residue, and will also help hydrate the face. We recommend this one that we use on our clients during site jobs and weddings. We hope these tips were helpful for you. If you can, we think that these can all be added to your regimen. But if you can’t, no problem. Add at least 2-3 to your daily routine, and let us know what works best for you! Got another tip to help makeup last longer? Share with us below!